Clinically proven to effectively enhance the appearance of eyelashes and eyebrows, RapidLash boasts an award-winning range of eyelash and eyebrow hair enhancing serums that work to improve the overall look of your eye contour. Free from parabens, this unique formula works to promote healthier, denser and youth-exuding lashes for an overall younger appearance. Today, RapidLash remain at the forefront of the industry for celebrites, a-listers and beauty therapists alike who wish to achieve salon-standard brows and lashes using only cosmetic ingredients. 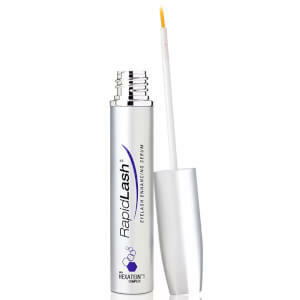 RapidLash Eyelash Enhancing Serum is a high-performance product that promises fuller, thicker, darker lashes in a matter of weeks. 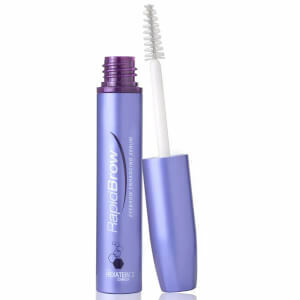 Clinically proven to improve the overall appearance of both your lashes and your brows, this unique formulation combines Polypeptides, Biotin Amino Acids and Pumpkin seed extract to enhance the appearance of your eye contour. Working to 'bring consumers heroic solutions for life's inconveniences' RapidLash are a brand committed to providing real results. Begin with a clean, dry eye. 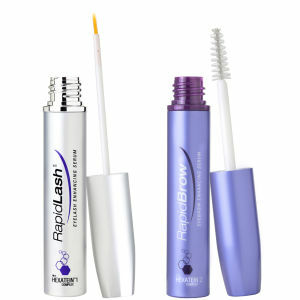 Apply RapidLash serum directly to the base of the upper eyelash; beginning at the inner corner and working out towards your temples. Repeat on your bottom lash line. 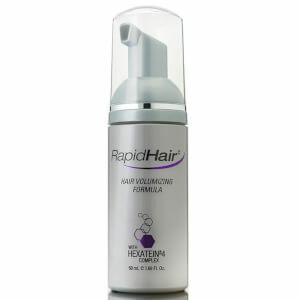 Wait until the product has absorbed fully before applying any other products. Fore best results, continue use for 8 weeks.